Udaipur’s famous currency man Vinay Bhanawat has made his way into the High Range Book of World Records, West Bloom Fields, Michigan (America). 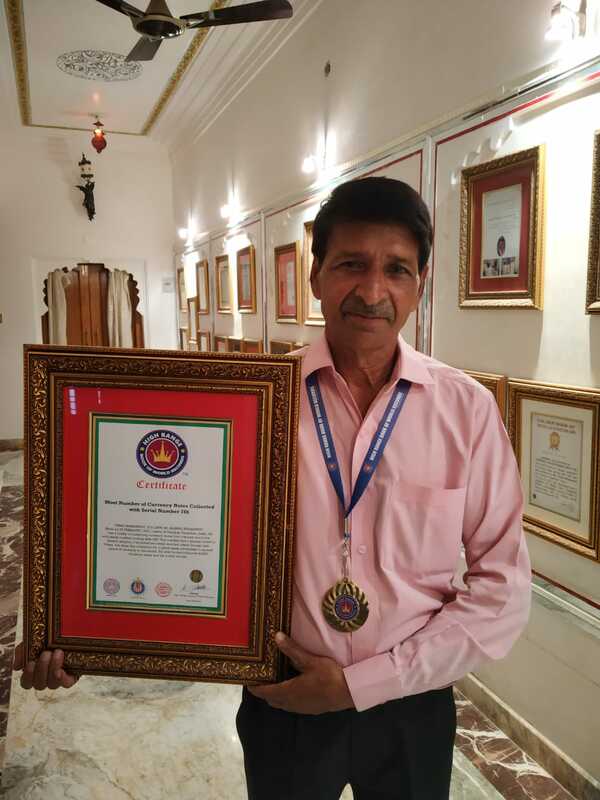 Director of World Records, Pradeep Kumar, informed that Bhanawat’s immense collection of currency notes bearing number 786 have made him eligible for this record. The Hyderabad office has sent certificate, souvenir and gold medal to Bhanawat for this accomplishment. Bhanawat has broken the world records of various countries like Dubai , Pakistan and Bangladesh . Mr Bhanawat is Jain by religion but has chosen 786 number which is holy number in Islam . He is working for communal harmony through his collection from last 40 years .